Football betting is the one most popular bet sports in India. While a distant second to cricket, in North-East India as well as West Bengal, Goa and Kerala the game is a very close second. As you’re probably aware Indians love to wager sports on the internet, so it should come as no surprise European sports betting sites now offer India’s nationally televised I-League as part of their football betting line ups that also include English Premier League, Spanish La Liga, Italian Serie A, German Bundesliga and dozens of competitions around the world. No matter if you’re interested in wagering domestic, regional or global football competitions there is no shortage of places for Indians to do so online. I’ll cover this as well as football betting strategy and tips in this article. The best football betting site for Indians is Betway. This is for the reason that this site has massive cricket and football coverage, and accepts Indian players. They gladly accepting bettors from India, and also accept INR directly for deposit. While India gambling laws prohibit bookmakers from operating domestically, Betway is both licensed and fully legal in the United Kingdom. Although ‘perhaps’ technically illegal – to the best of our knowledge, no sports bettor has ever been arrested for wagering from the comfort of their own home using an internet connection. This is an area it would be far too difficult for authorities to regulate, so they mostly ignore it, while leaving it as a grey area, or rather, an unenforced law that is on the books. In order to avoid challenges that result from banks getting nervous over gambling transaction most Indians use e-wallets such as Skrill, Neteller, or EntroPay to deposit and withdrawal from online betting sites. E-wallets act much like online bank accounts. They can be funded using credit card or electronic bank transfer. Once your account is funded you can transfer the funds to betting sites and you can also cash out funds from the betting sites as well. This is a great method to move money between online bookmakers, but also when you’re ready to get some of your winnings back as cash, you can have the e-wallet send the funds back to your bank account. Perhaps the best e-wallet choice for Indians is www.Skrill.com. They’ve been in business since 2001, are well regulated in the UK, have over 18 million customers worldwide, and offer Indian Rupee (INR) as an account currency. Considering all your deposits and withdrawals will read ‘Skrill’, as opposed to the name of a gambling site, your bank will have no idea these are gambling transactions. Skrill is a worldwide leader in money transfers. It is used by tens of thousands of freelance writers and programmers all over India, also is a way for friends to send money to each other, as well as used as a global currency exchange. Indian banks process hundreds of Skrill transactions daily that have nothing to do with gambling. In short, this is a great way to keep your online transactions fully anonymous, but is also safe due to reasons you can read about on this page of the Skrill website. Now that we understand how to bet football online from India, let’s get into strategy. I-League is the most popular football leagues for sports betting in India. While many do find excitement betting on UK or European league matches, the domestic pro league of I-League is very popular among bettors. 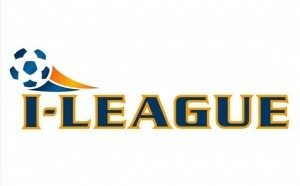 The only site we recommend for I-League betting is Bet365.com. As we mentioned before, they accept INR directly, as well as both major ewallets. There are other sites that say they accept Indian bettors and offer I-League odds such as Betfair, but we find it extremely frustrating to deposit with them. I would stick to Bet365 for I-League bets. There’s a saying I’ve read on football betting forums for years: ‘I know far more winning line shoppers, than I do handicappers’. Perhaps the biggest key to winning is to always bet with the best odds. Now a question I’m often asked is which site has the best football odds? I actually wrote an article here on this site titled Bet365 Offers the Best Football Odds, however it’s very difficult to beat sports using just a single betting site. Indians have five good options available to them for wagering. Using Bet365 and Dafabet as the preferred option – because they both accept rupees. Odds differ from site to site, so when you wager using five sites to shop every bet – your chances of winning greatly improve. From here you’ll want to consider shopping the odds on smaller markets as well. In my article titled Football Betting Options I covered 68 different football wagering options offered by Indian friendly online bookmakers. When shopping the really small markets you’ll find the largest discrepancy in odds between betting sites. For example if you check Betway and Bet365 and see the any time goalscorer odds for Sunil Chhetri at 2.05, but then see Betway is offering the same at 2.35, you probably don’t need to know much about football betting to realize making a bet at Betway is a good idea. Shopping small markets to pick off soft lines requires no knowledge of the sport and is one the best ways to beat football betting. As a final point on the topic of odds, the smaller a market is – the lower the betting limits generally are. For this reason, I-League doesn’t have anywhere near the wagering limits as Spanish La Liga, Italian Serie A, or German Bundesliga. If you’re a large bettor, or plan to become one in the future consider learning these leagues. I wrote an article on English Premier League Betting that is certainly worth a read. EPL is hugely popular in some India states. While I find it a tad humorous, I’ve read news about crazy fights between the Manchester United and Chelsea fans – in Kolkata! Considering UK bookmakers are the mostly friendly to Indians, taking an interest in their league makes sense. Whilst we aren’t going to give you the exact bets in this article, we will take a look at things you need to consider before placing any football bets. The more you can apply these tips to finding value bets of your own, the easier and more profitable your betting experience will become. Research – Probably the most important thing when betting on football is doing your research. When betting smaller leagues such as I-League great value can be found. Again as I mentioned the limits are smaller, but it’s a trade-off. Major leagues such as the English Premier League and Spanish La Liga are pretty saturated markets these days and it’s tough to get an edge versus the bookmaker with these. But leagues in countries where football is not the main sport become an absolute goldmine for those who are best at doing research. Study the form – A little like horse racing, you need to work out how the two teams you are looking to bet on have fared in the past few games. Look at thing such as goals scored, goals conceded, if this show some sort of correlation then go to the ‘Total goals’ market and see if something is available which you feel will be a good bet. If possible read up on match reports of previous games, this may give a better insight as to how the team are playing as a whole. Just because they didn’t score one week, may not mean they aren’t creating chances. Look as deep as you can into games to find a solid bet. Know your markets – There are literally hundreds of markets available to bet on with each and every football match. Some are extremely obscure, but if you learn them and know what each bookmaker is offering, when you come to do your research then things may just jump out at you. For example, many bookmakers offer comprehensive ‘Corner betting’ markets. Whether this is total number of corners, 1st half corners, corners in a period of the game and so on. If you know these markets exist and you are reading through a match report of a game with a high number of corners, then you will instantly realise to go and see if there are any value bets for these appropriate markets. Avoid cup games – Well, at least look heavily into these games before betting. Year in, year out, cup games throw up surprises. They are a chance for the lesser teams to come up against opposition of a higher standard. The larger teams will more often than not field a weakened team, making the playing field much more even. It’s for this reason that you must make sure you know the starting eleven for each team before placing bets. If you are really shrewd it can be a good hunting ground for an upset or two, but the unpredictability of games make it a nightmare for the serious punter. You only need to search online for “Football betting systems” to see just how many there are available to date. Every man and his dog claim to have a fool proof system, when in the majority of cases, most are completely rubbish. There are obvious exceptions to this rule, but they are few and far between. The concept is that most games fail to finish 0-0 (info taken from English Premier League) and at some point has a goal in it. We need a goal by either team to make this a profitable system. At the start of a game we want to lay the draw for any odds in between 3.0 and 3.8. As the game starts and the first goal is scored, the likelihood of a draw will become less, so the odds on the draw will increase. After the odds increase we should then be looking to back the draw at inflated odds to book a win on any result. Using Betfair’s Profit/Loss calculator will allow you to see exactly how much you need to bet and for what profits on each result. Should no goals be scored after 75 minutes then it’s time to cut our losses and back the draw off at a loss. The majority of games will have a goal before 75 minutes, but bear in mind that it’s impossible to win every bet, so be patient. There is only 1 Indian friendly betting sites that have a massive number of live football matches streamed right from their website (requires deposit or bet, see their website for terms and conditions), www.bet365.com. Here you’ll Italian Serie A, UEFA Cup, Portuguese Superliga and the MLS from the USA.